“How much money should I bring with me on safari, and how should I bring it?”. This is a question we deal with rather a lot and it depends a little on what your destination is, and what you will be doing. 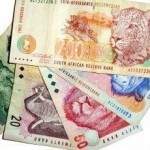 If you are spending two weeks in South Africa, then there are plenty of ATM machines around, so there’s no need to bring a huge amount of cash with you, and credit cards are quite readily accepted in many shops, hotels and restaurants. If you are going to be on safari in Tanzania, then you really need to bring some cash with you as ATM’s are few and far between. Credit cards are accepted at many high end hotels/camps and restaurants but you may be charged a processing fee of up to 5%. Also check with your own credit card company to see what extra fees they charge for foreign transactions. Bring a Visa or MasterCard, as American Express is not as widely accepted, and Discover is basically unknown. You can withdraw money using your Debit card at ATM machines that have a Visa, MasterCard, Cirrus or Maestro logo on it. 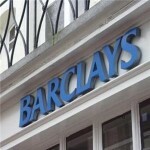 Barclays Banks are usually a good bet. Note that outside of South Africa, you may only find the right ATM machine in the capital cities and some tourist centers. Here’s a list of ATM machines that accept MasterCard and Visa cards worldwide. Always carry some cash with you, American dollars are probably the easiest to use throughout the continent. Carry an assortment of bills with you (very handy for tips) and take into account that many countries charge airport fees in US Dollars and you may also have to purchase a tourist visa in US Dollars. Note that some Bureau de Changes will only accept US dollar bills that have been issued after 2001. If you can, get US bills that have been issued as recently as possible (aim for 2006). Travellers Checks are a thing of the past, bring cash or credit instead. US Dollars can be used at most high end hotels and safari camps, except for South Africa where the South African Rand is used everywhere. You can even use small US dollar bills for tipping guides, drivers and porters (more on tips…). Using a debit card to withdraw local money is often the least expensive way to get your cash. Otherwise use a Bureau de Change or bank. Never exchange money on the streets, it’s illegal and you’re setting yourself up to possibly get robbed. For many safaris, your transport, accommodation and most meals are included and pre-paid, so you just need to bring money for tips, drinks (expect to pay the same or more than in the US), tourist visas (if applicable) and souvenirs. If you are renting a car in South Africa, gas costs more than $5 a gallon, so if you are hiring a driver expect to pay the same as you would in the US.